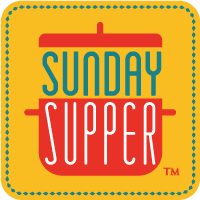 This week’s #SundaySupper is all about foods inspired by holiday themed music, movies, and television programs. My first thought was to do something inspired by Blue Christmas. It’s probably my all time favorite Elvis song but I couldn’t think of anything besides Blue Velvet cake or cupcakes and I’m not a fan of velvet cakes. After a bit of thinking the “Rudolph” special came to mind and I thought of Yukon Cornelius, the prospector. While this may not be the gold he was after I can’t help but think he would be pleased. After all, who can resist potatoes, bacon, and cheese? Combine the potatoes, bacon, cheese, garlic and herb seasoning, chives, and egg. Scoop out 1/4 cup measures and form into cakes. Combine the flour and bread crumbs together. Lightly coat the cakes with the coating. Fry in batches in 2 Tablespoons of butter or oil for 5-8 minutes each side or until browned and heated through. WOW….these look amazing, I’ve always wanted to try a recipe like this, thanks for the idea, you had me at bacon! Happy Holidays! Oh wow these looks so good. I often make bubble and squeak, which are similar, the day after Christmas but I have never added bacon before. I think I need to make sure I have some on hand for this year. My Friend is an Elvis freak, I have to show her your post today! I have to admit I never seen a Blue Christmas, but your potato cakes look amazing!! I want these for breakfast!! I’m definitely making these with our leftover holiday mashed potatoes! YUM! I love potato cakes and yet I haven’t made them with Yukon gold potatoes or put bacon in them. Thanks so much for that inspiration! I would wake up quick if someone made a batch of these in the morning! Now if Audrey was only old enough to cook on the stove by herself. Great idea for leftover mashed too, Micha! You’re right who can resist potatoes, bacon, and cheese? Not me -that’s for sure! Your recipe looks great! Happy Holidays! Oh wow… these look amazing. What great inspiration. Merry Christmas to you and your family! So glad you are part of the #SundaySupper Family! Love the title. You can’t go wrong with fried potatoes in my book! These would be just perfect for Christmas dinner! Yum! These look fantastic with the perfect crispy outside and wonderful creamy middle. I’m drooling over here! mmm they look good! just like my favorite potato latkes. This is my kinda food!! Love potato cakes! No one can resist potatoes, bacon, and cheese! This sounds amazing!